As technological advances reshape business in nearly every industry, many companies are still basing important decisions on questionnaires, focus groups, card swipes, and GPS tracking. But there are new, more accurate sources of information. Recent breakthroughs in neuroscience are helping us understand more about what holds people's attention and what motivates them. The real and potential business applications are astounding. 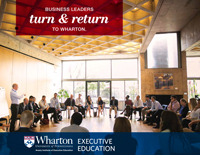 Grounded in the latest research of the Wharton Neuroscience Initiative and based on Wharton’s Introduction to Brain Science for Business MBA course, this program presents a unique opportunity to learn directly from the scientists who are making new discoveries. Leveraging Neuroscience for Business Impact will show you how the brain works and how to apply neuroscience principles in your organization to shape and improve management, team-building, and innovation. Academic Director Michael Platt says neuroscience can improve management in myriad ways. This highly interactive program begins with an overview of contemporary brain science. You will learn the basics of neuroscience and become familiar with important techniques for measuring and manipulating brain function. 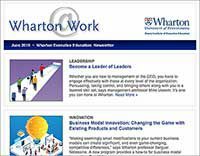 An interdisciplinary team of Wharton faculty will share major findings in neuroscience with applications to business, including selective attention and advertising; valuation and marketing; decision-making and the tyranny of choice; learning, innovation, and creativity; user experience and product design; and social influence, team building, and leadership. A blend of lectures, case studies, experiential sessions, and small-group work will help you begin to apply the latest insights from neuroscience to your organizational challenges. Participants will also work closely with one other and with faculty on a project to develop new ideas for neuroscience applications. The project culminates in a pitch session on the final day that will be critiqued by the group. You will leave the program with an actionable plan and a new network of highly experienced peers and faculty experts that you can access into the future. Professor Michael Platt talks about Leveraging Neuroscience for Business Impact on Wharton Business Radio, SiriusXM. Under the Hood: Professor Michael Platt says this program goes beyond scientific theory to understanding human behavior. Participants in this program are executives responsible for driving top-line growth, managing portfolios, leading innovation, or creating new business models. 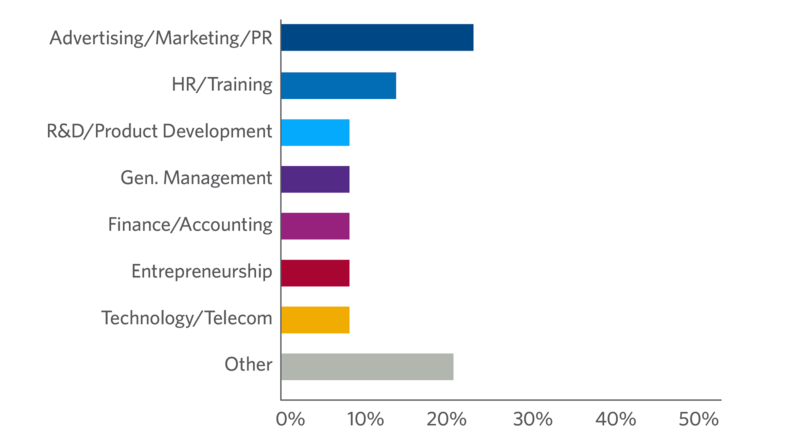 Specific industries that will benefit from program content include but are not limited to pharmaceuticals and health care, marketing, manufacturing and consumer products, and financial services. What part of the brain is responsible for decision making? When we are confronted with a choice, the cerebral cortex first decodes the perceptual properties of the options available. By comparing current options with our memories, as well as our current internal state, our brains assign value to the options, which are represented in the ventromedial prefrontal cortex and ventral striatum. The options with the highest value are then typically selected for choice by the prefrontal cortex. To aid these processes, the parietal cortex uses prior experience to focus attention on the most relevant and valuable options. All of this takes place across distributed networks connecting sensory input to motor output. Consequently, disorders involving different parts of the brain can produce distinct kinds of impairments in decision making, from impulsivity to problem gambling and other forms of addiction. What is the reward center of the brain called? There isn’t one reward center of the brain. Instead, there is a network of reward areas. One of these, the ventral tegmental area, is a part of the midbrain that produces dopamine, an important neurotransmitter needed to predict rewards and learn how to acquire them. Dopamine is transmitted to many different areas of the brain — in particular, the prefrontal cortex and striatum — to motivate behavior, guide learning, and make decisions. Remarkably, most parts of the brain are sensitive to reward, so processes from perception, attention, and memory to emotion can be focused on making decisions that acquire rewards and avoid punishments. Which part of the brain is responsible for motivation? The mesolimbic pathway, originating in the ventral tegmental area of the brain, is key to motivation. This pathway uses the neurotransmitter dopamine to motivate goal-directed behavior. Motivation is different from pleasure and also different from reward. Motivation is the internal drive to achieve a goal or obtain a reward. Dopamine increases during anticipation and provides the drive to obtain a desired goal. There is another part of the frontal lobe, the anterior cingulate cortex, that drives the extreme motivation necessary to do the difficult or impossible — like climb a mountain or run a marathon. What does neuroscience have to do with leadership development and business management? Neuroscience has a lot of relevance for leading and managing companies and teams. Neuroscience can help inform how we work best with others, build effective teams, and overcome bias, just to name a few leadership traits. The social brain network is specialized for managing our connections with others, and activation in this network underlies attention to others, empathy, and cooperation. Neuroscience also provides an alternative way of looking at traditional leadership hierarchy within business settings. In fact, high status within a social hierarchy is associated with less activity in the social brain network, impairing the development of good working relationships. Using these kinds of observations, neuroscience can help inform the mechanisms that lead to better business decision making and optimized business practices that improve productivity, reduce stress, and lower employee turnover. 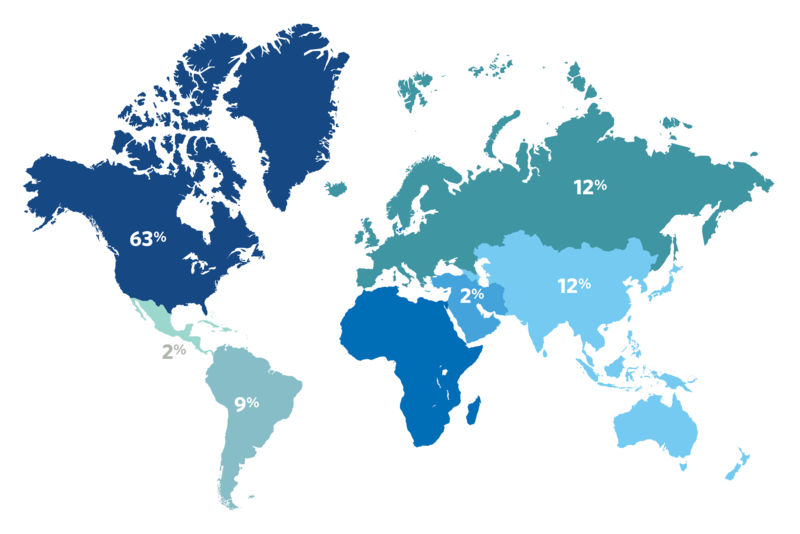 Why do business leaders need to know about neuroscience? All human behaviors — from what consumers choose to buy, to how they invest, to how they respond to advertising, to how they relate to team members or clients — arise from how their brains work. And we now know that people are not very good at reporting their brain states. Today business leaders can measure those brain states directly. Neuroscience gives business leaders the objective, scientific tools they need to understand both consumers and employees and use that information to make better business decisions. Why is neuroscience relevant to business leaders today? Today’s dynamic, hyper-connected, global business world makes every decision count more than ever. Neuroscience provides a science-based toolkit that can help business leaders make better decisions. Today we are at an inflection point where neuroscience and neurotechnology provide a scalable, objective way to improve all aspects of business decisions, from marketing, to human resources, to innovation, to finance, to entrepreneurship. 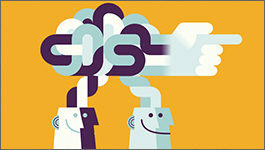 Which companies are leading the charge on neuroscience? Marketing is the most mature area of business being disrupted by neuroscience and the clear leader in this space is Nielsen. All the major tech companies, like Facebook and Google, are now using neuroscience to understand people with ever greater precision. Wealth management companies like Vanguard are beginning to apply neuroscience to develop better models of investors. And there are multiple companies, like CTRL-labs, Halo, Muse, and Neuralink, that stand poised to bring brain-computer interface technology into everyday use. Which industries are being disrupted by neuroscience? We are at the dawn of a revolution in which many if not most industries will be disrupted by neuroscience. As our understanding of the relationships between brain states and decision making and human performance become more precise, this will change the way employees are selected, on-boarded, and trained; shift work is scheduled and monitored; and investment decisions are personalized for individuals. We believe human resources will be the next big area of disruption for neuroscience. How does neuroscience impact decision making? Brain physiology limits the number of items we can usefully consider, so decision making seems likely to depend on individual biology. People also differ in how sensitive they are to negative outcomes, uncertainty, risk, and volatility, and these individual sensitivities strongly shape the way they make decisions. In large measure, these limitations are both strongly rooted in each person’s individual biology and can be measured using neuroscience techniques. These facts mean business leaders can use neuroscience to help them make more precise business decisions.